Here are some things I came up with using my three cloches. 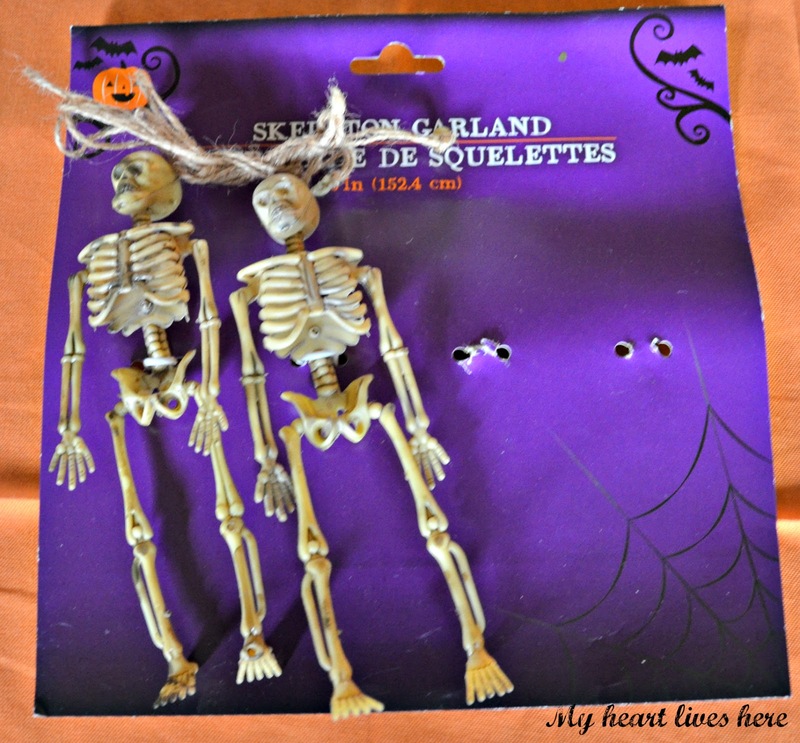 Dollar Tree sells these little skeletons as garlands. So, with four to a pack, they are 25 cents each! They are even a little bit flexible which helps with posing. 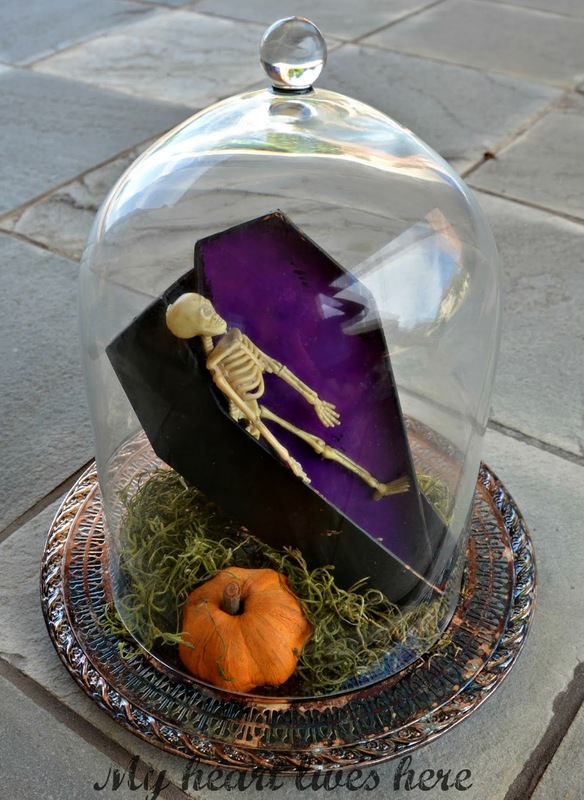 The coffin was a colorful treat box (also from Dollar Tree) that I painted black. The inside of the lid was already purple. It was so much fun putting that one together, that I decided to make another for the bar area. The wine corks were on hand. Don't judge. His hands are hot glued to a rusty old wheelbarrow from my fairy garden. The cork in the wheelbarrow has the words STONES & BONES as the brand. Couldn't resist giving it a prominent spot. 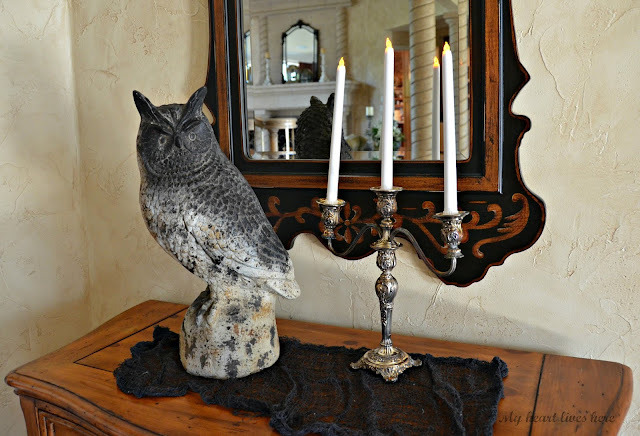 This owl came in from the backyard and the candelabra was hiding in the dining room. I found the three battery powered candles at Dollar Tree. With the addition of some spider webs, they will set a pretty scary tone to arriving guests. *** And my grand total spent for all these Halloween decorations is ten dollars. I hope to think of something else to do with the two remaining skeletons. Suggestions welcome! Thanks so much for stopping by. 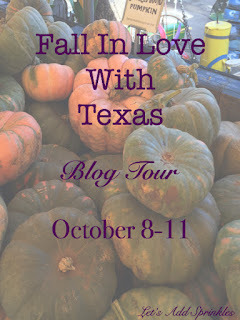 I hope you'll come back tomorrow to see my Fall Home Tour on the Let's Add Sprinkles Fall into Texas Blog Hop. 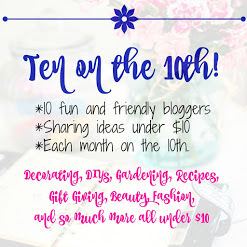 AND Be sure to visit all today's other wonderful Ten on the 10th posts! The skeletons are a great idea and so "cheap"!!! I might stop by and pick up a few!! The Dollar store is always a fun stop for inspiration. Your house will certainly set the mood for the party!! Have fun!! What a wicked sense of humor you have. 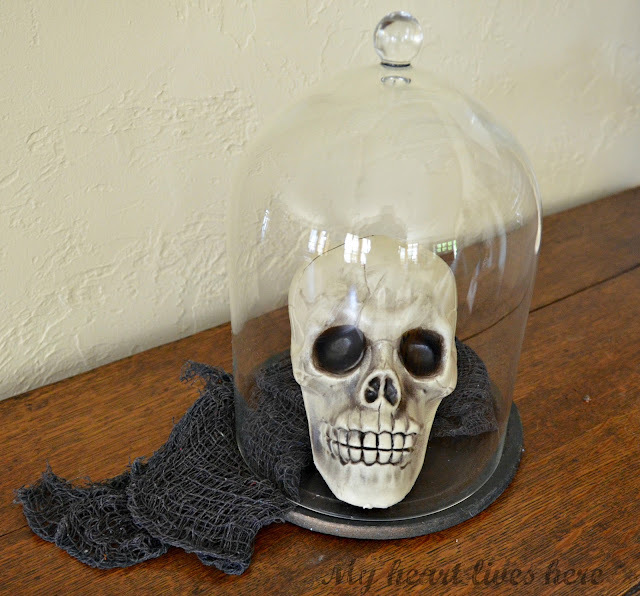 I bet your guests will love your awesome Halloween decorations. I love the little wheel barrow. So fun and creative. I love your creativity! Those skeletons are too cute!!!! How adorable. The skeleton with the wheelbarrow. Great idea. 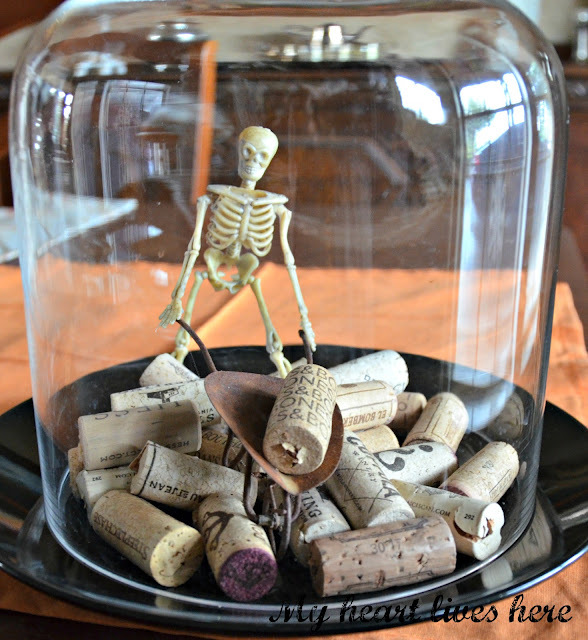 I absolutely love the cloche with the skeleton and wheelbarrow. My husband would love it because he drinks red wine. And what's printed on the wine cork in the wheelbarrow made me giggle! 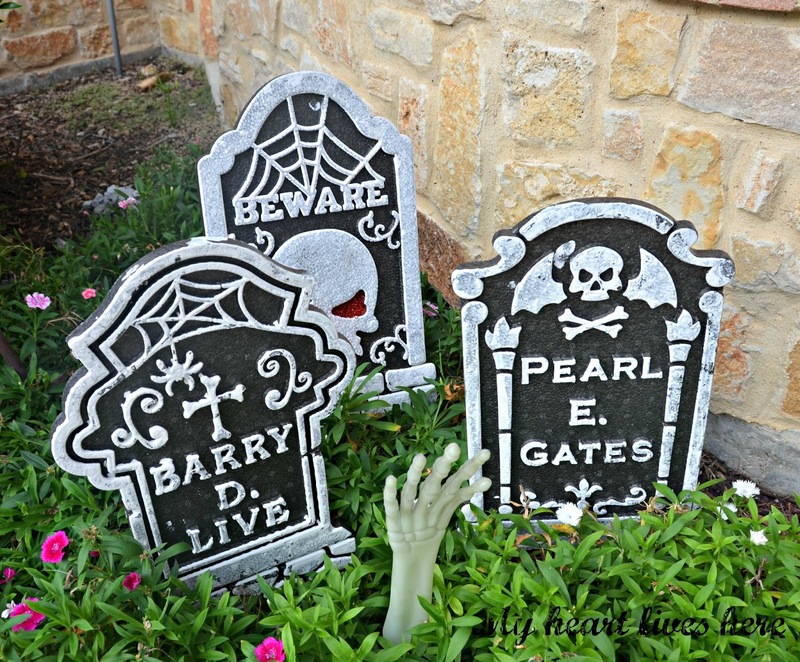 I love all your Halloween ideas! They are very cute!!! Thanks for letting me participate with the group! I appreciate it! 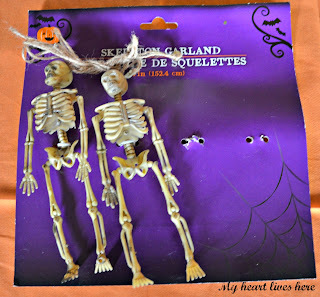 The skeletons are adorably wicked!! 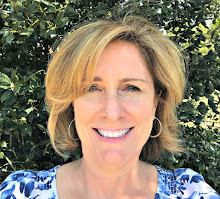 I love your ideas and the price is even better! 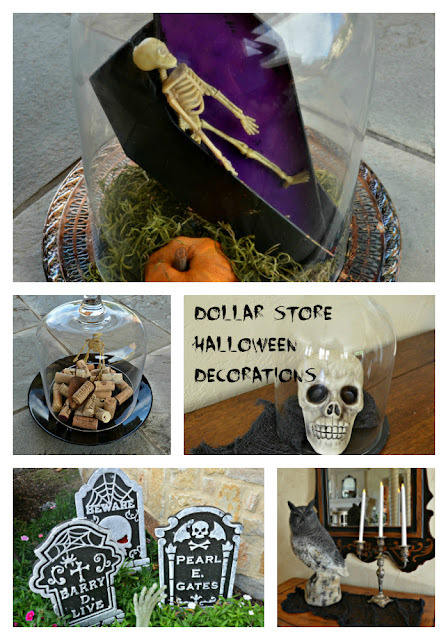 My daughter collects Halloween decor and she will love these ideas for her annual party! Eilis those skeletons are adorable. Love the corks and especially the one in the wheelbarrow.